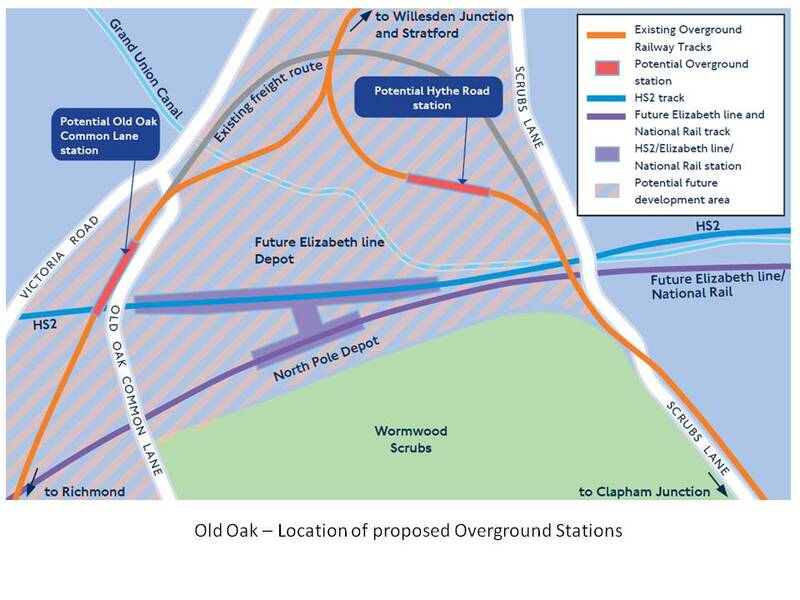 The proposals for the Old Oak Common Lane station are not going down well with residents in the immediate vicinity. The ‘visualisations’ suggest a 4 storey office block at the top of Midland Terrace and an elevated pedestrian/cycle bridge across to Victoria Road. The impact on neighbouring houses would be huge. The Old Oak Interim Neighbourhood Forum will be submitting a response to the consultation. Please email oonforum@gmail.com if you would like your views reflected in the Forum’s response.